During the years I spent my whole time referring webmasters just to register domain name of which I didn't know that there was no commission for that. Now I decided to meet on of my good friend at printhag.com and we decided to move our WordPress site to domainking using my own referal link and to my greatest surprise my affiliate dashboard was updated with 1500 + 500 which was my welcome bonus. 1. The need people who are ready to buy any hosting plan from them. 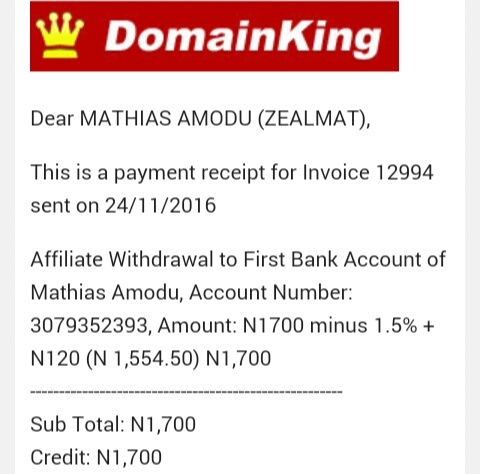 Domainking.ng has the best support team ever with instant integration for their customers. The reason why i joined this wonderful affiliate program was because of their uniqueness when getting a domain name or buying a hosting plan for your website. 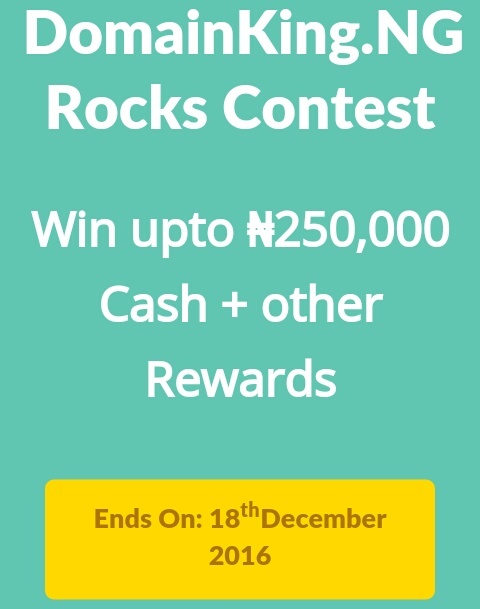 Try to buy a domain name from this wonderful company today and win some wonderful prize. Good testimony, but how much have you cashed out so far from domainking affiliate?